MILAN (Reuters) - Italy's economy will shrink by 0.3 percent this year, JPMorgan analysts said, in the gloomiest forecast by a major U.S. bank for the euro zone's third-biggest economy. 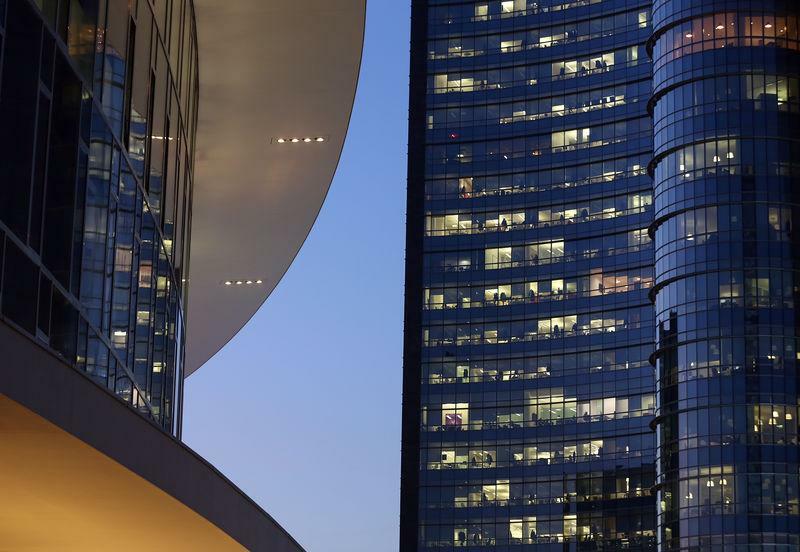 Official data show Italy fell into its third recession in a decade during the second half of last year, and recent business surveys suggest the economy remains extremely sluggish. The European Commission last week slashed its forecast for Italian GDP growth in 2019 to 0.2 percent, well below the government's 1 percent projection. JPMorgan forecast Italian GDP would contract at an annualised rate of 0.75 percent in the first quarter, adding that a widening of the spread between benchmark 10-year Italian bonds and their German equivalent may add to downside risk. "At this stage, we estimate that Italy's 2019 (budget) deficit will climb to 2.8 percent of GDP, which, together with our growth forecast, implies an increase in the debt ratio to 133.5 percent of GDP (up from an estimated 132 percent in 2018)," it said in a report. The government of the anti-establishment 5-Star Movement and the right-wing League has targeted the deficit at 2.0 percent, after the European Commission rejected its original goal of 2.4 percent deficit, saying it broke EU spending rules. Italy's public debt is proportionally the second highest after Greece in the 28-nation European Union. The weakening economy is putting pressure on public finances, leading to selling pressure on Italian bonds and higher borrowing costs, in a vicious circle which some analysts say could lead to corrective budget measures later this year. However, JP Morgan cited reports that Brussels is unlikely to demand any budget tightening of Italy before elections for the European parliament in the last week of May.